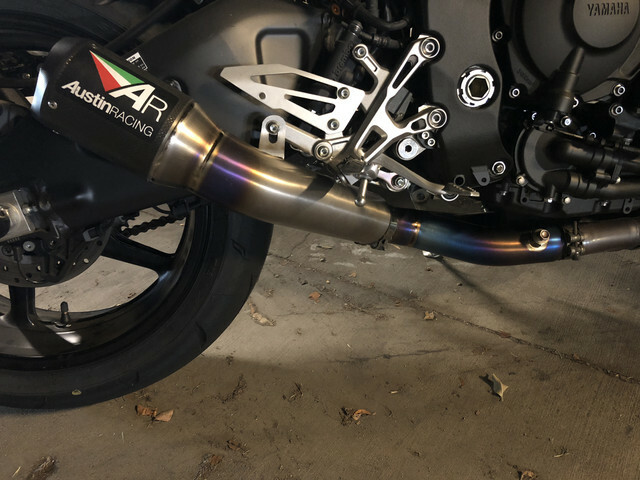 For sale is an Austin Racing GP1R Exhaust. $700. Bought this from another person and mounted it tonight. Went on a ride and its too loud for my taste. Going back to stock. Would prefer sale to be local to Los Angeles. If you are willing to ship Im interested. mods will ask for pics. So you good with shipping? Ill pay for the shipping. Do you know if they make a DB killer for it? Not sure what it would be shipped. Still for sale. Prefer local sale but will ship on your dime.